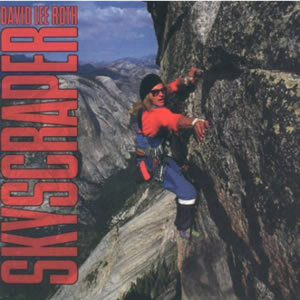 David Lee Roth‘s second full-length solo album, the commercially successful Skyscraper, has had mixed critical response since it was released in 1988. 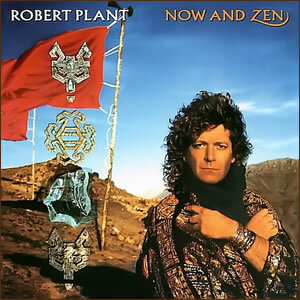 This album, while continuing much of the same good-time-hard-rock direction that Roth had personified throughout his career as a front man, also saw some subtle movement towards other sub-genres. Most of the compositions on Skyscraper were co-written by Roth and virtuoso lead guitarist Steve Vai. Following the phenomenal success of Van Halen’s 1984, Roth decided he would give a solo project a go. In early 1985 he released Crazy from the Heat, a four-song EP of cover tunes, which was popular due mainly to innovative music videos and creative character roles. 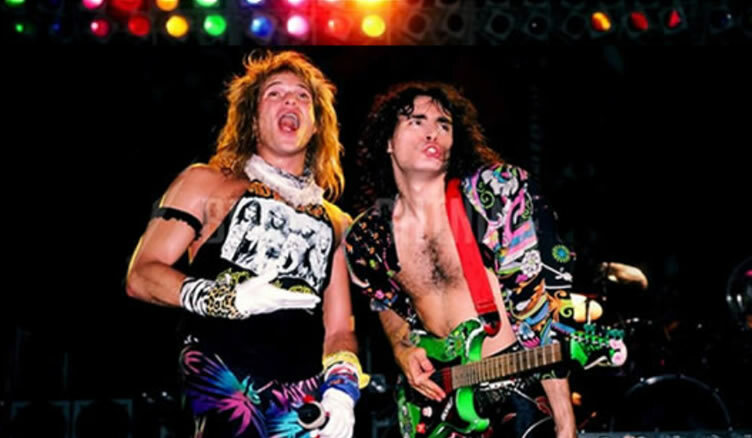 From this latter pool, Roth planned to create of feature-length film and, although the project fell through, the move played a part in Roth officially parting ways from Van Halen in on April 1985. Later that year Roth assembled a backing group consisting of Vai, bassist Billy Sheehan and drummer Gregg Bissonette. This group along with long-time Van Halen producer Ted Templeman recorded and released the LP Eat ‘Em and Smile in 1986 to widespread commercial and critical success. For the production Skyscraper, Roth and Vai took the producer reigns. Recorded at various studios in Southern California in late 1987, this new arrangement gave the duo much creative freedom to try differing approaches. The original 1988 LP contained ten tracks while subsequent CD reissues incorporated the 1985 hits “California Girls” and “Just a Gigolo/I Ain’t Got Nobody” from Crazy from the Heat. Co-written by Bissonette, the opener “Knucklebones” features a crisp, flanged guitar riff by Vai along with his later harmonized lead. Overall, the song is pretty catchy but standard hard rock with the apt hook for an opener “get the show on the road”. The album’s biggest hit song, “Just Like Paradise”, follows. The composition, which was co-written by keyboardist Brett Tuggle, is accented by piano chords and features just enough catchy melodies and hook to propel it to the Top 10 on the US pop charts. “Damn Good”, perhaps the highlight of the album. Led by the harmonized acoustic of Vai performed with a slightly Eastern bend, the song overall features just the right mix of melody and synth effects with a nostalgic lyrical nod by Roth back to the Van Halen years. With “Hot Dog and a Shake”, the album returns to straight-up, good-time hard rock along with some obvious sexual innuendo. “Stand Up” goes in another direction as a pure eighties electronic pop with plenty of synth bass and brass motifs by Tuggle, the kind of sound that, ironically, Roth had criticized former band mate Eddie Van Halen for just a few years earlier. Industrial guitar tones dominate the intro to “Hina”, a unique track which results in one of the more interesting listens on this album. 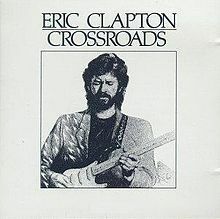 The album concludes with two more attempts at pop music, “Perfect Timing” and “Two Fools a Minute”, the latter featuring a more interesting musical arrangement complete with fret-less bass and bluesy guitars. Although Skyscraper sold over two million copies and reached Billboard’s Top 10, the David Lee Roth band soon began to disintegrate with the departure of Sheehan soon after its release and Vai after its supporting tour. Roth’s solo career never again gained much traction and he eventually reunited with Van Halen. Steve Earle has always woven in and out of the outlaw country genre exploring different sectors of musical territory. 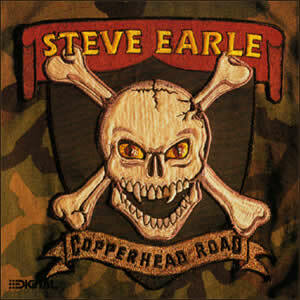 Back in 1988, Earle took his first major turn into what would eventually be called “Americana” with the album Copperhead Road. This hybrid of country twang and solid rock elements propelled the Texas native into an area all his own for decades to come. This album followed Earle’s first two releases, Guitar Town, in 1986 and Exit 0 in 1987, both of which had sold well and earned enthusiastic reviews within the country music scene. But Earle and Nashville soon tired of each other and the artist set out to make an album “where heavy metal meets bluegrass”. Prior to signing with MCA Records, Earle had paid his debts in the music industry in Nashville and various locations in Texas. Starting in 1975, he spent over a decade as a songwriter, session player, band bassist and front man for his group “The Dukes”. Earle had a previous contract with Epic Records but was dropped after releasing just one EP called Pink and Black in 1982. Copperhead Road contains a definite eighties production sound by producer Tony Brown. It employs a big drum sound and arena-influenced guitars, at times sounding more like Aerosmith or Guns n’ Roses than the country/rock sound of the contemporary “New Traditionalists”. Still, the songs’ roots shine through all the gloss and firepower. Beyond the songwriting and vocals, Earle is fluent array of instruments, including six and twelve string acoustic guitars, mandolin, and harmonica. The songs on side one of Copperhead Road reflect on Earle’s leftist politics. “Snake Oil” attacks then president Ronald Reagan, comparing him to a traveling con man. “Back to the Wall” is about poverty and homelessness and “The Devil’s Right Hand” is an anti-gun tune which tells the tale of a lonely gunslinger. “Johnny Comes Lately” has its roots in Earle’s anti-Vietnam activism as a young man. This tells the story of two generations of soldiers coming home from the war – one a veteran of World War II and his son, a veteran of the Vietnam War – and contrasts the differing receptions they received on returning home. This side one closer features the folk group The Pogues as Earle’s backing band. Title track “Copperhead Road” was also the big hit single from the album. It starts with a bagpipe-sounding synth and then morphs into a mandolin-dominated opening verses before dramatically crashing into it’s loud “rock” sections later in the song. It tells the story of a Vietnam war veteran from a Tennessee moonshine clan who returns home to grow marijuana on his family’s land in order to make ends meet. The song has a anthemic feel throughout, making it one of Earle’s most memorable songs. So is Earle primarily a musician or a political activist? Well, on side two of Copperhead Road, he pretty much abandons his preaching on social justice and rage against the establishment for more traditional, country-influenced “love” songs. “Even When I’m Blue” is a typical country theme, which deals with your typical love and life scenarios. “You Belong to Me” and “Once You Love” are honest and absorbing reflections of the heart of a dysfunctional romantic. The closer “Nothing But a Child” is a quasi-Christmas song which features guest Maria McKee on vocals and the group Telluride providing mandolin, dobro, and violins. Following the release of Copperhead Road, Earle was compared to everyone from Bruce Springsteen to John Mellencamp to Randy Newman to Waylon Jennings. However, a combination of heroin abuse and troubles with the law halted his career in the 1990s and Earle never quite reached the level of those artists. However, by the end of the century Earle was back to form and released several more important albums through the 2000s. Years before alternative was “cool” (in other words, when “alternative” was still alternative), R.E.M. was forging their own way through the super-slick eighties. Their sixth album, 1988’s Green, was the breakout album that followed the group’s quintet of critically acclaimed but commercially light pieces earlier in the decade. The result was a successful attempt to strike the right balance in both of those fields and branch out to an international audience. This was the group’s debut album for the big label Warner Brothers Records after cutting their teeth with the indie I.R.S. Records with their late 1987 release Document, which received major airplay but was not widely distributed overseas. In their frustration, the band entertained big label offers and signed with Warner for reportedly between $6 million and $12 million. Working with producer Scott Litt (who would produce five albums in all with the band), R.E.M. began recording demos in their home town of Athens, Georgia before moving to major studios in Memphis, Ten. and Woodstock, NY for the proper recording. The record’s tracks ranged from upbeat to more somber and political material. Led my vocalist Michael Stipe, the band made a consorted effort to “not write any more R.E.M.-type songs”. The group began what would become a tradition of swapping instruments and the result was a very eclectic and sonically diverse output. Green is defined by the tweaks the group made to their creative process, grown out of the restlessness of their then eight-year career of near constant touring. For R.E.M., this meant composing positive, or at least satirical and playful, material for the first time in a while. The band were also more open to strong rock influences such as the Byrds, the Doors, and Led Zeppelin, than they had been in the past. Produced by: Scott Litt and R.E.M. Green labeled its original LP sides, with side one being the “air” side. “Pop Song 89” is a twangy, three-chord, upbeat song with a memorable lead guitar riff by Peter Buck and harmonized, low key vocals by Stipe. This opener is a sarcastically titled, semi-parody of pop music which is deliberately simplistic. “Get Up” follows with a straight-forward rock arrangement but seems to be a little more forced than the opener, especially with the excess vocal parts. The lyrics were written about bassist Mike Mills and his habit to sleep late during their recording sessions. “You Are the Everything” is the first song to use a completely alternate arrangement, with Buck playing mandolin, Mills on accordion, and drummer Bill Berry providing a simple bass. Set to the backdrop of chirping crickets, the song provides a Southern pastoral setting and straight-forward, love-song-like lyrics through a fine vocal melody by Stipe, making this the first really interesting song on the album. The group returned to this exact arrangement on the second side song “Hairshirt”, which adds even more melody and entertainment to the mix with top-notch mandolin and very laid back accordion and bass. The ultimate R.E.M. pop song, “Stand” starts with carnival-like organ and moves towards some good guitar riff and great vocal hooks. 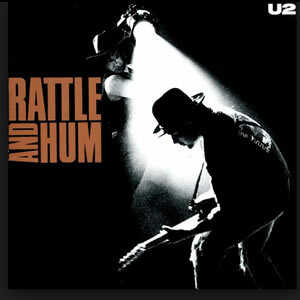 With a kind of in-your-face singsong chorus sung by Stipe and Mills in close harmony and a signature wah-wah guitar solo by Buck, the song did well on radio, MTV, and the pop charts. “World Leader Pretend” is a much more serious piece led by a driving acoustic guitar, interesting drum accents and a subtle cello by guest Jane Scarpantoni. The song is notable as the first and only to have lyrics printed on the original album sleeve. The first side ends with “The Wrong Child”, an acoustic guitar and mandolin piece with several competing vocal parts which Make it almost interesting but a little too busy at times. The second side is referred to by the band as the “metal” side, and starts with the military stomp of “Orange Crush”. Stipe sings through a megaphone that lends his vocals a corroded quality appropriate to the subject matter (the title refers to the chemical “agent orange”), which is counter-balanced by the very interesting tone and theme. Although not commercially released as a U.S. single, “Orange Crush” reached number one on both the Mainstream and Modern Rock Tracks. The rest of the album consists of moderately interesting tunes. “Turn You Inside-Out” contains a slow, electric twang with a methodical and strong beat by percussionist Keith LeBlanc. “I Remember California” has a strong electric intro arrangement which gives way to just simple bass and busy, tom-filled drums by Berry during the verse, making it unique and interesting, although a bit too long. “11” (the eleventh, untitled track) close the album with Buck playing drums on an upbeat, new-wavish song with definite British influence. Green has gone on to sell over four million copies worldwide and the band launched a visually developed tour to support it in 1989. Riding the worldwide success of this album, the band continued the momentum with the success withs Out of Time in 1991 and Automatic for the People in 1992. 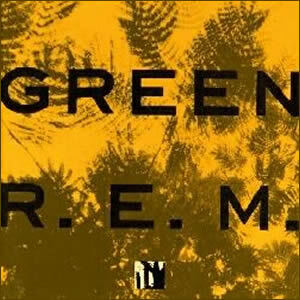 Author Classic Rock ReviewPosted on August 13, 2013 June 7, 2014 Categories Album ReviewsTags 1988 Albums, 2013 Reviews, Album Reviews by Ric Albano, American Artists, R.E.M., Southern ArtistsLeave a comment on Green by R.E.M. 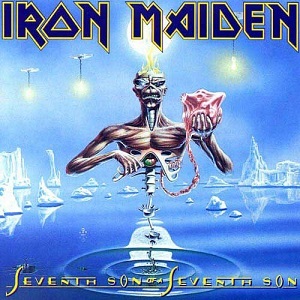 One of Iron Maiden’s most popular albums, Seventh Son of a Seventh Son has the dual properties of being the last of their “classic” era and the first release to prominently feature a progressive metal arrangement and include keyboards. This concept album features lyrics that are based on supernatural mysticism and English folklore and the title and theme worked well as the group’s seventh overall album. Seventh Son of a Seventh Son reached the Top 20 in the U.S. and #1 on the U.K. Album Charts, their first to do so since 1982’s The Number of the Beast. 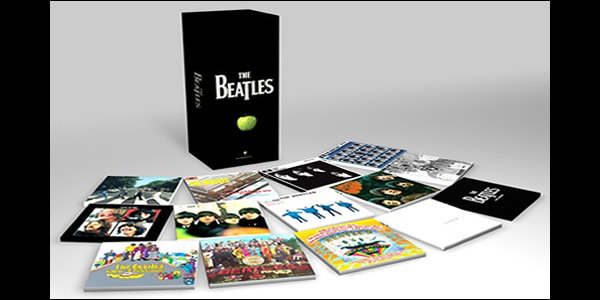 The album also spawned four Top 10 singles on the U.K. charts. Musically, the album is led by guitarist Adrian Smith and contains traditional prog-rock arrangements with stop/start transitions between riffs, tempos, and time signatures along with strong and memorable vocal hooks by lead vocalist Bruce Dickinson. They built on the guitar synths introduced on their previous album Somewhere in Time in 1986 towards full keyboard synthesizers. Bassist Steve Harris came up with the album title and theme after he read Orson Scott Card’s Seventh Son and realized this was to be Iron Maiden’s seventh studio album. Dickinson revised his earlier role of providing most lyrics with much collaboration among the band members who “checked up on each other to see what everybody else was up to”. The opener “Moonchild” comes in almost like a Jethro Tull acoustic song entry before quickly turning to something a bit heavier and more dynamic. The focus on the number seven is immediate in the lyrics and this is the first in the conceptual sequence of the album. “Infinite Dreams” is introduced by a chorus guitars and later contains funky bass by Harris and choppy guitars by Dave Murray during first verse but the song evolves through many sections of differing sonic intensity, getting progressively heavier towards the song’s climax and the following final verse. “Can I Play with Madness” is the most mainstream track on the album and contains a completely different vibe than the more melodramatic efforts elsewhere. The song originated as a ballad but evolved into a more upbeat track which became the album’s first single, peaking at #3 on the U.K. charts. The extremely poppy chorus would become a sore spot for many long time fans. 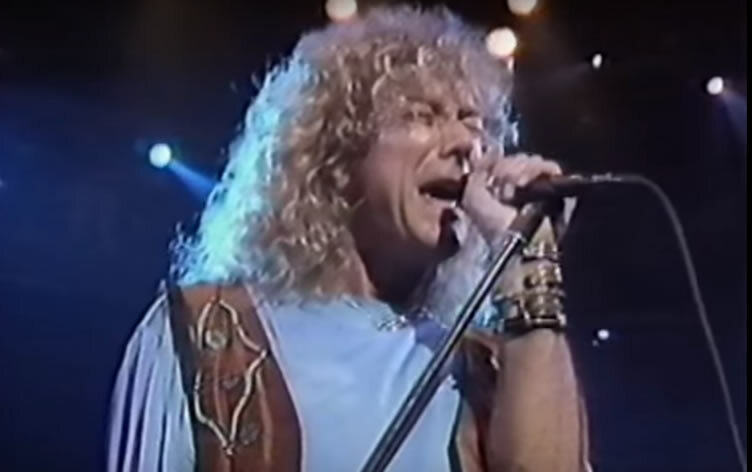 The strong and melodic “The Evil That Men Do” concludes the first side as a classic Iron Maiden track, complete with a great guitar lead by Smith. The song’s title was taken from Marc Anthony’s speech following Julius Caesar’s assassination. The title song “Seventh Son of a Seventh Son” is a nearly ten minute extended piece which begins with a simple guitar/synth track but builds quickly. The interludes between the opening verses are excellent with Dickinson complementing the musical harmony. A long, prog rock middle instrumental has a consistent hi-hat by drummer Nicko McBrain guiding the way with some spoken lines at top of this section. It concludes by morphing into a full-fledge prog-influenced jam, not unlike “The Cinema Show” on Genesis’ Selling England by the Pound a decade and a half earlier. After the tour-de-force title track, the album inevitably loses steam, although the final three tracks are all quality. “The Prophecy” begins with a softly picked guitar and long synth strings and a good, minute-long classical ending. “The Clairvoyant” begins with a raw bass by Harris, setting the pace for this enjoyable rocker, which was the catalyst for album’s concept as the first track written. “Only the Good Die Young” is an upbeat closer and, in a way, the most classic eighties metal song on the album (and therefore the least prog oriented). 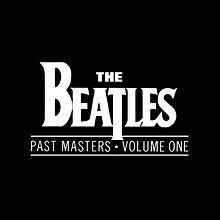 It contains another great harmonized guitar lead and ends with a reprise of the intro to “Moonchild” with the same “seven” theme revisited. Following the release of Seventh Son of a Seventh Son, the band headlined the Monsters of Rock before a crowd of over 100,000. This would turn out to be the pinnacle of their success as Adrian Smith soon left the band and their fortunes and peak popularity began to deteriorate. In 1988, Melissa Etheridge released a strong and passionate debut album which was built during several years of grinding out recognition, one small venue at a time. With this well earned pedigree behind her and a drive and determination for success ahead, Etheridge found a rather unique niche and filled a rather huge void in the popular music scene of the late 1980s. Her raw-throated vocals, confessional compositions, and simple yet effective acoustic-built music totally contrasted the flash and fluff which saturated the conventional airwaves and this stunning debut helped clear the path for the seismic shift in the music scene which would occur a few years later. A native of Leavenworth, Kansas, Etheridge began performing at age eight and was involved in many stage productions through high school. She later moved to Boston to attend Berklee College of Music, but dropped out to pursue a musical career in California. There, she played countless acoustic gigs, slowly building a following and muddling through several rejections until finally receiving a publishing deal to write songs for movies starting with the 1987 movie Weeds starring Nick Nolte. Shortly after, Etheridge got a full record deal with Island Records. The album was produced by Etheridge and Niko Bolas along with a couple members of the backing band. The songs were built in the light of Bob Dylan and Bruce Springsteen, along with a sensitive female bravado and passionate delivery which is captured well in the production. While there is little thematical variation on Melissa Etheridge, it is a very even album which delivers potent tracks throughout. A production masterpiece, “Like the Way I Do” has a consistently strummed acoustic accented by a sharp, double-beat rhythm by bassist Kevin McCormick during the verse. The song uses an ingenious, minimalist approach, which pretty much went against the grain of every production technique of the late eighties and is a good example of the of Etheridge’s early material with dramatic vocals telling a story of heartbreak and longing bordering on obsession. As the singer once explained, her songs are not so much about sadness and anger then they are written about “internal conflicts”. The middle part of the album contains some uniquely arranged songs. “Precious Pain” is a softer, folksy acoustic tune musically (albeit the lyrics are just as sharp as anywhere else). 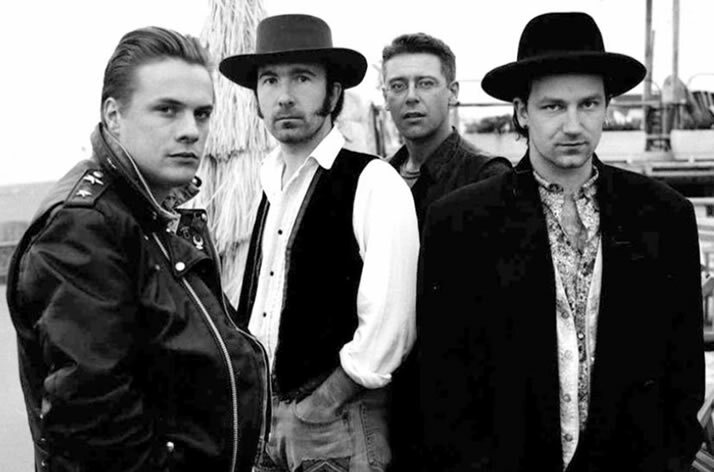 The first three songs of the second side – “The Late September Dogs”, “Occasionally”, and “Watching You” – all use minimalist arrangements, with “Occasionally” taking this to the extreme with Etheridge’s vocals accompanied only by a slight percussive thumping of the acoustic guitar body. The song which captures the overall angst of the album is “Bring Me Some Water”, a tune as dramatic as can be pulled off while staying within the realm of good taste. Nominated for a Grammy, the tune captures the main theme of hunger for affection and pain of unrequited love. Melissa’s obsession with romantic break-ups and recriminations may narrow the range of the album, but make this work sound relevant and viable a quarter century later. The thumping rhythm and bit of funky bass drives the closer “I Want You”, a fine tune of unbridled desire to complete the album. The Melissa Etheridge album peaked at #22 on the Billboard charts and initiated her steady rise to the top of the pop world in the early 1990s, when Etheridge started to abandon her musical pursuits for celebrity causes. Never quite recreated in intensity or quality, this first album was a career highlight for the singer/songwriter. 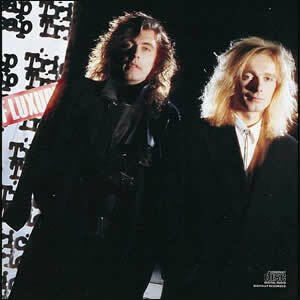 Lap of Luxury was, by most definitions, a comeback album for Cheap Trick, although it didn’t quite reach the blockbuster status that the band and their label were attempting to achieve. In many ways it is a very ordinary album for the late 1980s due the use of several “song doctors” who composed mainstream, radio-friendly material. Still, there is something which is at once desperate and exciting about this band’s sound and, in particular, the wailing croon of vocalist Rob Zander. Combined with the unambiguous guitar textures of Rick Nielsen, there is a definite edge to this band’s sound which shined through in spite of the attempts to smooth it out with mainstream compositions. The group’s tenth studio album overall, Lap of Luxury was produced by Richie Zito and broke a streak of five straight commercial disappointments through the early and mid eighties, despite the fact that the band used top level producers on those albums including George Martin, Todd Rundgren, Roy Thomas Baker and Jack Douglas. Due to the band’s commercial decline, Epic Records demanded that they collaborate with professional songwriters in the same way that Aerosmith had done for their commercial comeback Permanent Vacation the previous year. This did result in the album reaching the Top 20 and spawning the group’s first and only number one single. The album also marks the return of bassist Tom Petersson, who is often credited for having the first idea to build a twelve-string bass. Petersson had left the band in 1980 and returned in 1987 to join drummer Bun E. Carlos in the rhythm section and restore the original quartet from the 1970s. 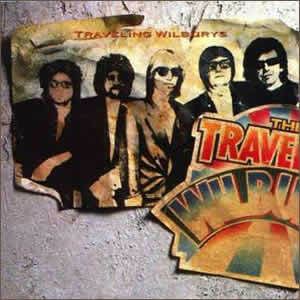 The group also brought back the practice of featuring Zander and Petersson on the front cover while putting Nielson and Carlos on the back, which they had done on three late seventies albums as an inside joke. Prior to Lap of Luxury, Rick Nielsen was the group’s chief songwriter but he only co-wrote four tunes on this album. The record starts off with, “Let Go”, which contains a thumping rhythm, simple but strong riffs and anthem-shout lyrics – the type of material on which the band traditionally excels. The song was co-written by Todd Cerney who co-wrote songs with Eddie Money, Loverboy and Bad English. The song was released as a single and peaked at #35 on the Mainstream Rock chart. “No Mercy” contains exotic percussion with much use of rhythms and synths during the verse while again going for the big hit sound during the choruses. A great acoustic riff provides the bedding for “The Flame”, a power ballad which drips with melancholy reflection. This excessively deep song compliments the band’s traditional light fare of songs such as “She’s Tight” on One on One with Zander’s dramatic sobs and Nielson’s guitar and keyboard soundscapes. The song was penned by British songwriters Bob Mitchell and Nick Graham and the band initially rejected it and had to be persuaded to record it by Zito. It went on to become the band’s first and only number one hit. Holly Knight composed hundreds of songs for scores of artists throughout the eighties and nineties, but one of her most forgettable is Cheap Trick’s “Space”, the album’s most definitive filler. “Never Had a Lot to Lose” is an interesting end to side one mainly due to the old-time rock riff by Nielson and the song’s overall new wave vibe. This is a pure band original and shows that Cheap Trick really excels when sticking to their own material. A rendition of Elvis Presley’s “Don’t Be Cruel” starts side two with a great arrangement that is not so much a remake as a modern day recreation of the classic song. Led by the precise drumming of Carlos, Cheap Trick’s version of this song reached #4 on the charts and became a radio staple. “Wrong Side of Love” is the closest the band comes to a boilerplate “hair band” sound with squeezed out, mechanical riffs and formulaic lyrical patterns. “All We Need Is a Dream” contains high register vocals reminiscent of the seventies band Sweet. Melodramatic but entertaining, the song contains vocal pauses which seem awkward at first but ultimately work with the overall vibe. The album ends strong with a couple of quality tunes. “Ghost Town” is second ballad of the album, slightly acoustic with a touch of piano. It was co-written by Grammy award winner Diane Warren, who would go on to write some of the most famous soundtrack ballads of the 1990s. On the closer “All Wound Up”, the band returns to their early sound with sharp riffing by Neilson and some great bass by Petersson. Busted was released in 1990 and was also produced by Richie Zito, as the band attempted to capitalize on the success of Lap of Luxury. This time, however, the band was allowed more creative control and professional songwriters were only used on a handful of songs. The first single “Can’t Stop Falling Into Love” reached No. 12 on the charts but failed to reach as high as the label expected. The second single, the Diane Warren penned “Wherever Would I Be,” suffered a worse fate reaching only No. 50. The following singles, “If You Need Me” and “Back N’ Blue” were not successful, although the later single reached No. 32 on the US Mainstream Rock charts. Cheap Trick rode the momentum of Lap of Luxury and the success of their 1991 Greatest Hits release to sustain their popularity through the rest of the decade. The four members of the group remained together through various big name and independent label arrangements until 2010 when Bun E. Carlos departed the group, three and a half decades after the band first formed.